Flavorwise, this is about as good as Delta Species get. It really feels like it’s a natural lightning type, rather than a fighting type with fighting type effects that just happens to be on a yellow card. Sadly, it’s a jank rare that didn’t even make the cut for the japanese set. 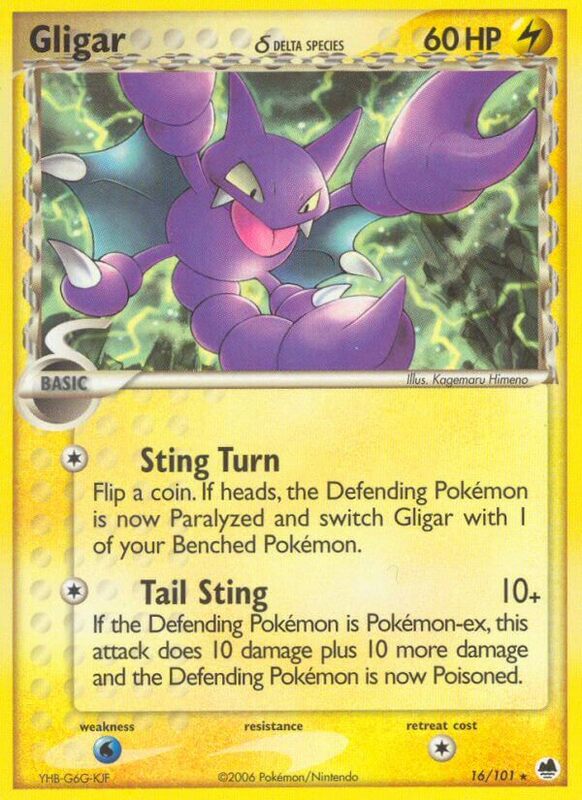 Tail Sting is probably the tamest “ex-hate” move in the history of the TCG.